” If a man does not die of a wound, then it heals in some fashion, and so it is with loss. From the sharp pain of immediate berevement, […] I passed into the gray days of numb bewilderment and waiting. So grief has always seemed to me, a time of waiting not for the hurt to pass, but to become accustomed to it. " Fitz is a little bit on the tall side, with a solid, sturdy build and broad shoulders that speak to a lifetime of physical labor. He has a strong, square jaw, and somewhat narrow eyes and lips. His nose is obviously crooked from an old break, and he has a prominent scar over his right eye, though his vision was luckily unharmed. His eyes are dark brown. His hair is dark brown, nearing black, lazy waves and curls that reach just past his shoulders, though it’s often pulled back in a ponytail at the nape of his neck. He generally dresses in simple, practical clothing that can be muddied by his work in the stables and it won’t matter. He hates wearing anything that could be construed as finery, feeling ridiculous when he does so, and has been known to ensure he doesn’t get stuck with clothes like that by intentionally wearing it into the stables. Fitz is bright, but most people who know him well would consider any of his intellectual capacity entirely wasted. He has no interest in academic pursuits beyond being able to read and write (and while he has recently begun keeping a journal, he has no interest in being able to write well), and is often disparaging of those who do hold those interests. In fact, he’s far more interested in the animals in the stables than most anything else, and will often retreat to them when he’s feeling lonely, which is often. However, due to such academic disinterest, he’s never formally apprenticed as a beastcrafter, but is instead content solely to work in the stables and do the simplest of labor. In general, he’s angry at everyone and everything, and has been for most of his life; that personality trait cannot be attributed in the slightest to the loss of his dragon, though he has since lost much of the restraint he once had. He solves his problems with fists and harsh words, lashing out at anyone he gets close to because he’s afraid to get too close lest he lose them too. Those he cares little for he holds nothing back, wearing his hatred right out on his sleeve. The only thing that doesn’t seem to anger him is animals and young children; in short, he has a soft spot for anything that could be considered cute or helpless. 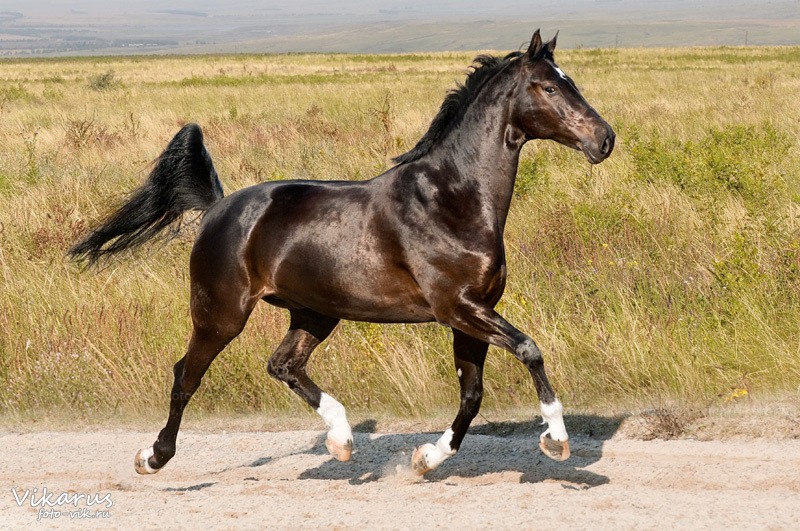 Of those who rely on him he’s fiercely protective, and woe be unto anyone who dares threaten “his” stables. He has a major problem with authority, often refusing to submit to any, and those orders he does follow he follows because they happen to align with what he’s inclined to do regardless. He’s stubborn and refused to be swayed, and an opinion once formed stays with him for Turns after. Similarly, he can hold seemingly endless grudges, and the current target of his vitriol is riders who don’t appreciate what they have. His parents’ shame, Fitz was born to a world where he was an unwanted reminder of what they’d done. Flauros had betrayed the trust of her weyrmate, and Blitzen the trust of his own family, his wife and children, back at Ruatha. He’d only been visiting the Weyr to distribute some of the toys he’d made in his spare time. As early as was possible, Fitz was consigned to the creche, where he was cared for as lovingly as a child could be, but he was still too near a reminder. For all that he took after his father in build and much of his face, he had his mother’s coloration and eyes. Almost as soon as he was old enough to go (though not soon enough that he failed to realize that he was sent because his parents didn’t want him around, though he didn’t understand why), he was sent to foster at Igen Weyr. The little boy spent some time in awe of his new surroundings, of the desert landscape and the sturdy beasts that could live off of the scrub grasses and needed little water, so different from the heavier, hairier beasts he’d seen at Fort. So, noting his interest, creche workers were able to ensure that he spent as many chore rotations working with them as possible as he grew, even if he never formally apprenticed. For many Turns he continued like that, receiving the education that any Weyrbrat might, far away from any gossip and rumors about his parentage. However, as he entered his teenage years, he started to get into occasional fights. Eventually it was discovered that once a fight was started, he wouldn’t give up, no matter how badly he was losing. 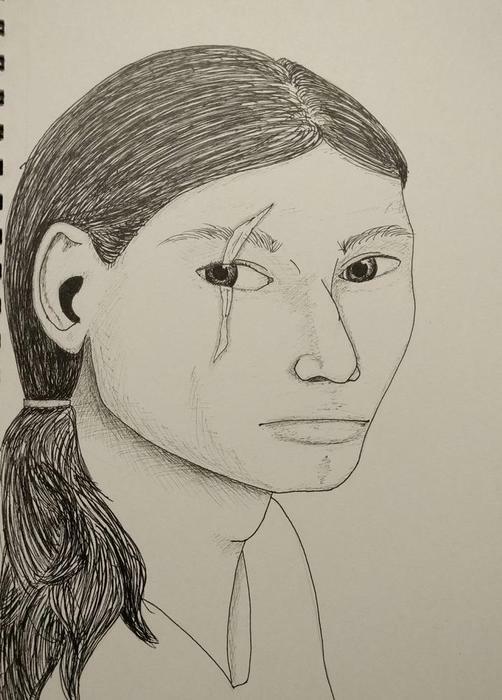 In one fight, he managed to ignore a broken nose and a large gash on his face (both courtesy of a rock), continuing to fight until he and the other boy were pulled apart. For the most part, people stopped fighting him after that, if only because there was no concealing anything from the Candidatemasters once he got involved (and many of the children of that age wished to Impress). Fitz was one of them. Shortly after his eighteenth Turnday, he finally succeeded. A lovely, spirited blue declared himself his Nieyeth and him F’en, and from that moment the pair were nearly inseparable. Nieyeth whined when left alone for even a short period of time, but F’en gladly obliged him. The blue was everything he’d ever wanted: a friend, a constant companion, a confidante… but F’en had met another companion as well. Her name was Molly, and F’en was infatuated. He was warned to keep away from her until graduating to the wings, but he’d never been good with authority, or being told what to do. One night they went too far with their intimacy, and Nieyeth, panicked that he was losing his rider, went between. Distraught with grief over the loss of his dragon, for several weeks Fitz refused to speak to anyone, hardly eating and not even going to the stables. Winter came and went in a blur that he barely remembers now; all he recalls is the self-loathing, the inability to escape memories he’d rather not recall. But unlike that hazy period after his loss, every memory he has of Nieyeth is sharp and clear. The Weyr lake awoke memories of early glides, the Star Stones lessons of predicting Threadfall, the inner corridors of chasing the blue when he was in a playful mood. All of that was gone now, and Fitz realized that he couldn’t stay at Igen. He wasn’t sure he’d survive it. However, he wasn’t about to flee to a Hold; he was certain that he deserved to live with his pain, with constant reminders that he had killed his dragon. So he returned to the only place he knew that had dragons and wasn’t Igen: Fort Weyr. Sort-of befriended one of the Weyrlings, Neeka, though he's entirely confused as to why they keep coming to talk to him. Decided to move to Semaca when the new Weyr opened, because there were too many unpleasant things at Fort. Was talked into becoming a wher candidate by Neeka, but after they read a private letter of his and he found out, they're not on speaking terms. Impressed Fitsk at his first wher hatching. His friendship with Neeka was extremely slow to mend, even when they kept on leaving him carved gifts. Was put into Mazurka Squad by Neeka, who forged his signature and informed him after the fact. Neeka died in an accident, along with Raiboth. Fitz once more feels as though he has no one around. An absolutely beautiful gold, no questions asked. Fitsk looks almost like she is always a child, with awkward proportions and a round, sweet face. She has a soft step, and despite her awkwardness, has a great sense of balance, even if it looks a little weird. 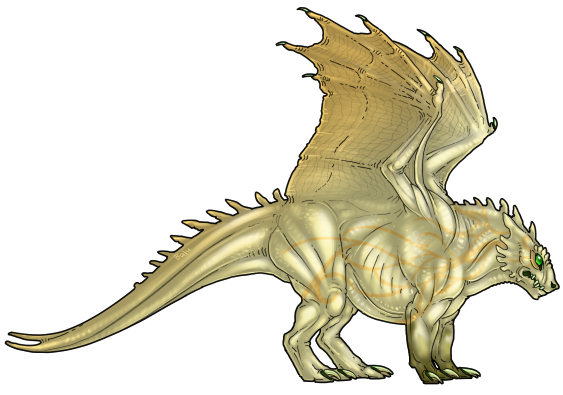 She's a very pale gold all over, and one might mistake her for white in certain lights, save for her size. Her front feet are a a darker, sooty-sort of gold as if she's stepped in mud or maybe paint. 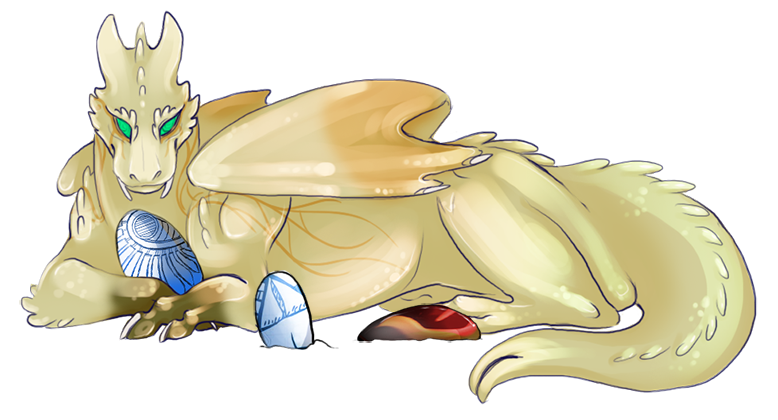 Her back, over her tail and the edges of her wings are a more creamy yellow. Down her sides are long, beautiful gold ribbons that look like banners in the wind. Fitsk's voice sounds very youthful, like a curious little girl. Fitsk is very much a child at heart. She has a natural curiosity that promises to get her into trouble if she is not cautious; she wants to know, and this means exploration of the world around her. She will always be child like, with a sweet innocence and kind view of the world. It may become very overwhelming and confusing to her, but she continues to try her hardest to navigate everything she does with an open mind and gentleness. She will make mistakes, but she will try to gain a lesson out of each one. Along the way, she will easily befriend many, as she is a gentle and loving person who finds a way to connect to everyone. That said, she is full of determination and refuses to give up. She is not afraid to ask for help, and will learn how to see things from different angles. She's a clever girl, with a mind for puzzles and equations. She refuses to see anything but the best in people, and will dedicate her life to helping other people. She is full of energy and continues to reach out to dragon and wher alike, trying to build connections between people and make everything better for everyone. She is very anti-color and makes it known that she sees everyone as equal, refusing to tolerate such segregation and separation. A problem solver and a lover (not a fighter), she'll go far to unite and bring together Pern, trying to bring more peace and acceptance to all. Girl is a little on the pudgy side, with bright lavender hide that looks more pink than purple. 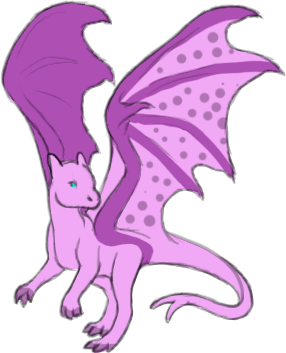 The backs of her wings and lining along her wingbones on the other side are a truer purple, and her wings bear little polka dots. Her toes seem to have been dipped in the same color up to the ends of her knuckles. She's a cute little thing, all told, though she can be a bit on the clumsy side. Girl is the sweetest, cuddliest flit anyone could ever hope for. She just wants to burrow into the crook of your elbow or onto your shoulder and take a little nap. She can be a little on the lazy side, and doesn't like to part from her owner from even a short time. She's not really the brightest, but still knows enough to avoid Disinterest's teeth. Disinterest is not a model citizen. True to her name, she's seemingly disinterested in just about everything around her. A tunnelsnake can slither by unremarked, and she's incredibly hard to spook, bordering on impossible. She's not easy to train, being unwilling and recalcitrant, bordering on open defiance most of the time. The only things she shows interest in are running and people, and the people she only pays attention to in order to bite when they get within range. It's running that she really seems to live for. It's the only time her spirits really seem to lift, and she honestly seems eager. She's competitive and doesn't like following others at the best of times, and during a race this holds as true as ever, though she can't match the speed of many runners bread for racing. Surprisingly, she seems to like Fitz well enough, her affection being shown by not biting him like she does most other people.